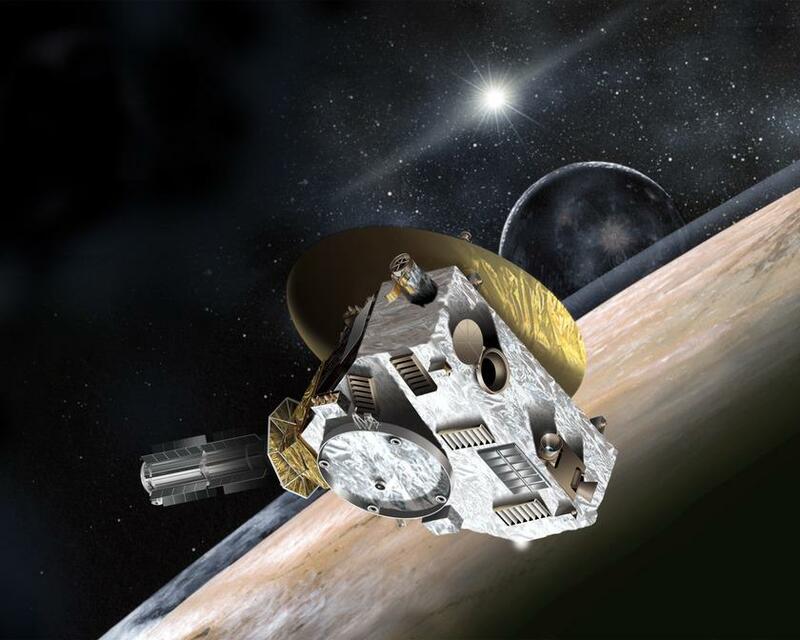 When NASA’s napping New Horizon’s spacecraft awakens later this week in preparation for its July 2015 encounter with Pluto, a University of Colorado Boulder student instrument onboard already will have been up for years. The instrument, the Student Dust Counter (SDC), was designed and built to detect dust both on the interplanetary journey to Pluto and beyond, said CU-Boulder physics Professor and LASP research scientist Mihaly Horanyi, principal investigator on the effort. The SDC has been on for most of the mission—even as the other instruments primarily napped—measuring dust grains that are the building blocks of the solar system’s planets, he said. 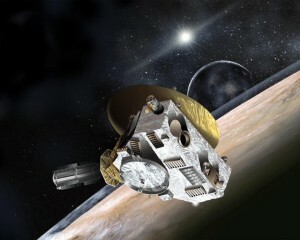 Launched in 2006, the New Horizons mission was designed to help planetary scientists better understand the icy world at the edge of our solar system, including the dwarf planet Pluto and thousands of objects beyond it in the Kuiper Belt. The spacecraft, about the size of a grand piano, carries six other instruments. The principal investigator for NASA’s New Horizons mission is Alan Stern of the Southwest Research Institute (SwRI) in Boulder, a CU-Boulder alumnus. SDC is the first student-built instrument ever to fly on a NASA planetary mission and holds the record for the most distant, functioning dust detector ever flown in space. Beginning in 2002, more than 20 CU-Boulder undergraduate and graduate students began work to design and build the SDC, said Horanyi. The team changed in the early years as students graduated and moved on and dropped in size after the instrument was finally finished and integrated on the spacecraft. There are presently two graduate students involved with SDC, Jamey Szalay and Marcus Piquette. The SDC is a thin plastic film resting on a honeycombed aluminum structure the size of a cake pan mounted on the outside of the spacecraft. A small electronic box inside the spacecraft functions as the instrument’s “brain” to assess each individual dust particle that strikes the detector. The microscopic-sized dust grains hitting the SDC create unique electrical signals, allowing the students to infer the mass of each particle. While the SDC has encountered and charted thousands of dust particles on its journey so far, the CU-Boulder researchers are particularly interested in sampling the Kuiper Belt. A vast region beyond Neptune’s orbit thought to span more than a billion miles, the Kuiper Belt is believed to harbor at least 70,000 objects more than 60 miles in diameter, each containing samples of ancient material created during the solar system’s violent formation some 4.5 billion years ago. Scientists will use the New Horizons spacecraft to characterize the geology and topography of Pluto and its large moon, Charon, including mapping their surfaces and temperatures, charting Pluto’s atmosphere and structure, studying its smaller moons and searching for new moons and rings. The spacecraft is programmed to come out of “hibernation” mode on Saturday.